This new distinctive landmark at the gateway to downtown is a unique project in many ways. 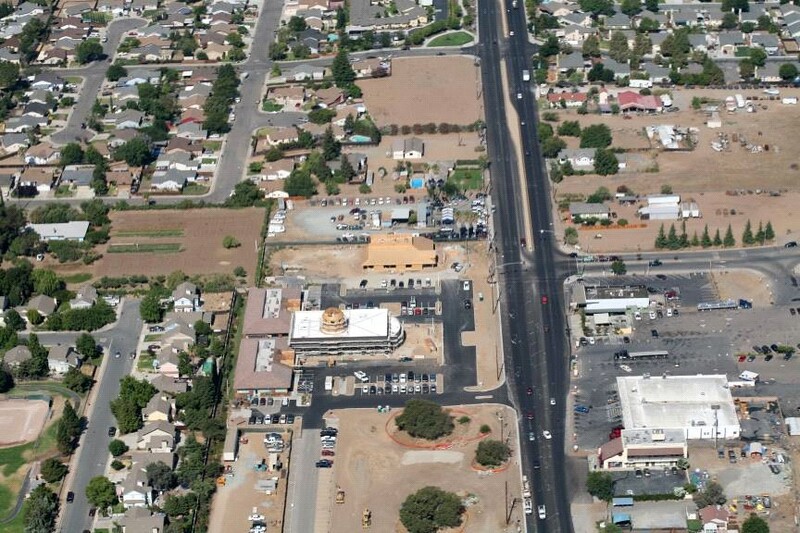 Perhaps the most significant was taking advantage of two existing buildings adding a new structure and essentially creating one large facility. 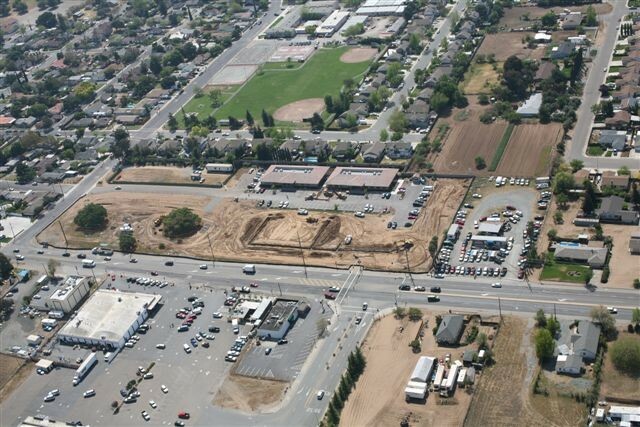 Using this approach we have created a downtown park, which was not previously planned for, built the Civic Center Plaza 3-5 years sooner than planned and saved an estimated $2 million. 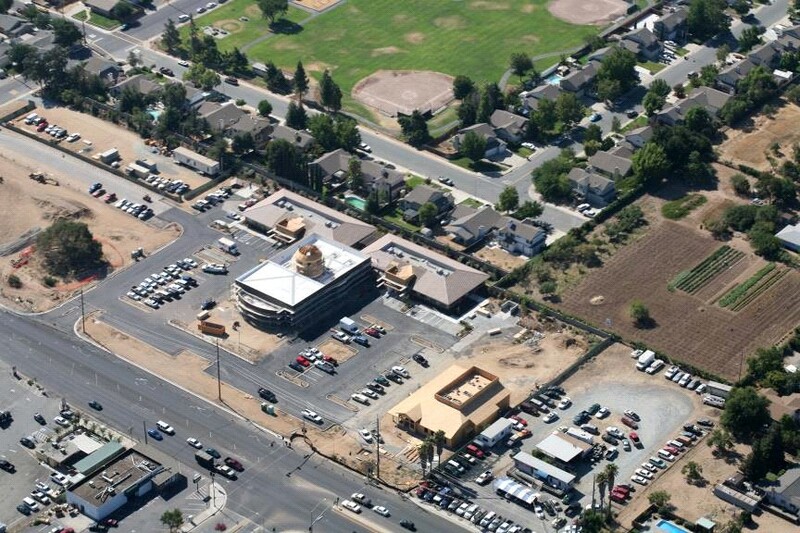 The Civic Center Plaza encompasses a little over 7 acres and contains a 25,000 sq. ft. City Hall building; a 2-acre park; a 6,000 sq. 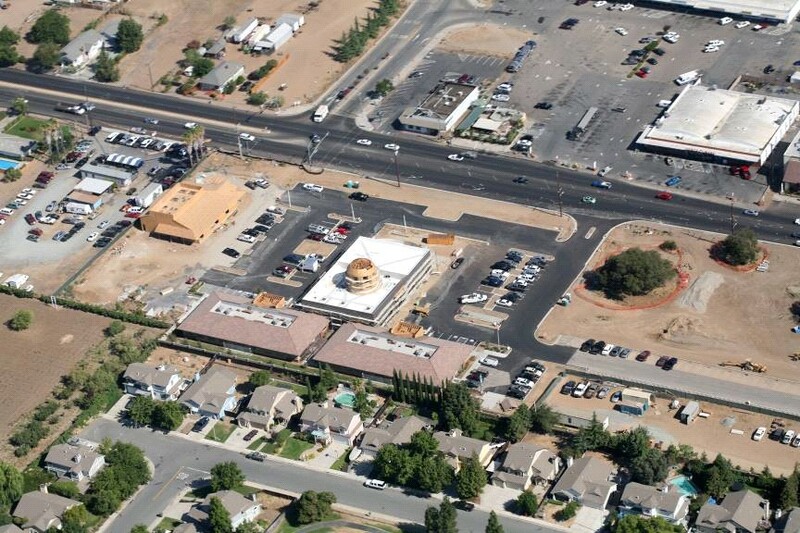 ft. restaurant; a plaza with reflecting pool, more than 200 parking spaces and a 1-acre expansion area. The cost of the City Hall expansion is approximately $5.5 million and was paid for the by a “public facilities impact fee”. The City began collecting these fees shortly after incorporation. These fees are charged to and collected from new development. City Hall consists of the previously mentioned 2 buildings and the expansion. It houses a state-of-the-art City Council Chambers that can seat 175 people. Because of the lack of meeting rooms within the City the seating is not fixed and the Chambers can be utilized for other meetings and events. The Chambers will be primarily used by the City Council that meets the 2nd and fourth Tuesdays, and the Planning Commission that typically meets the 1st and 3rd Tuesdays. The Chambers includes 4 plasma televisions that serve as displays for cameras, computers and to play DVD’s. A plasma TVis also included in the Lobby to allow viewing of meetings outside of the Chambers. The Council Meetings will be recorded by a DVR. Council members will have computer access from the dais. Behind the dais is a City Council Office/Conference Room, a small kitchenette and a restroom. The Chambers portion of the expansion is flanked by exterior Porticos that effectively extend the size of the Chambers meeting room and the exterior Plaza. There are 62 new photographs located throughout the building presenting a mixture of past and present. 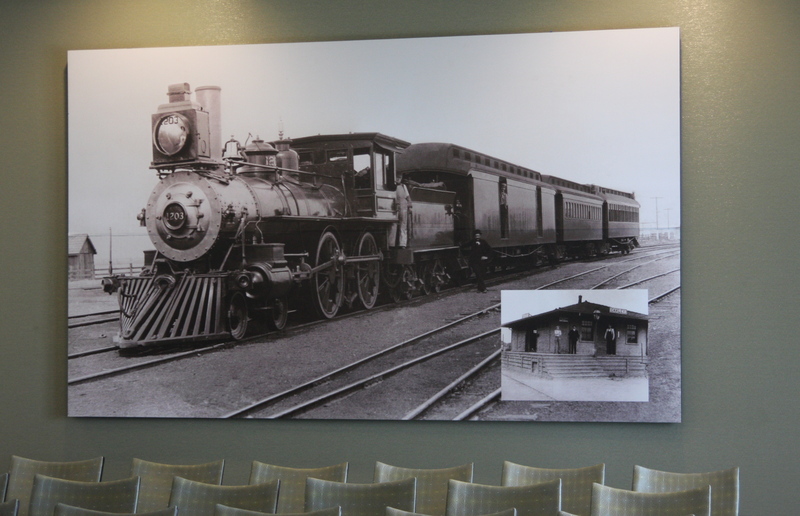 A large one of a train depot on the back wall, you, taken in 1906, is of the always present train and the Oakley Station. 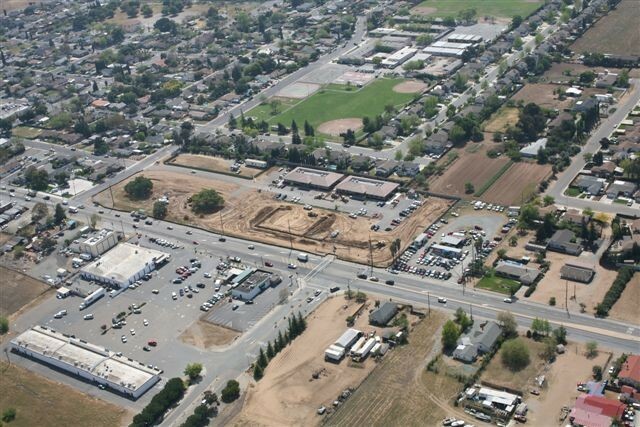 During the first quarter of the last century Oakley was the spot to be in East County. 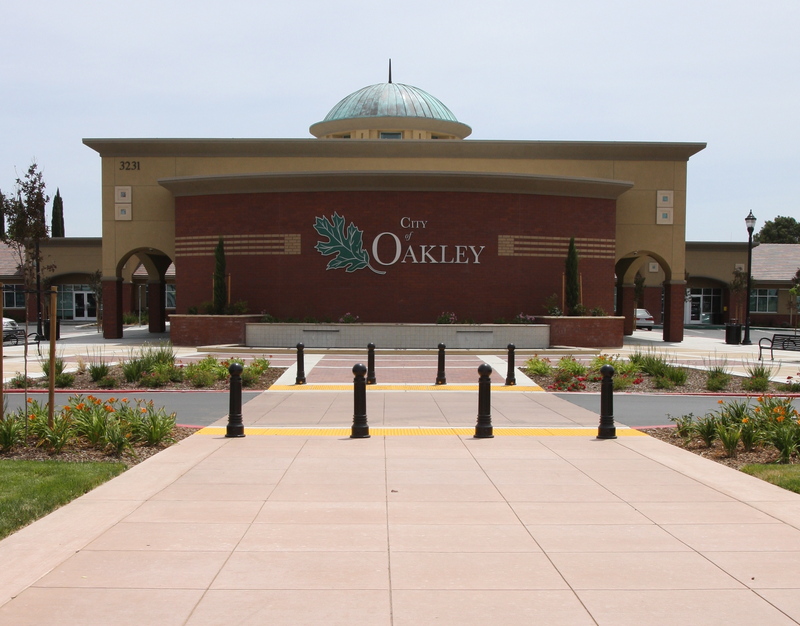 Farmers from Oakley, Anitoch, Brentwood and the surrounding areas would bring their agriculture products to Oakley for shipping by the railroad. During this period Oakley had 18 bars, 3 houses of ill repute and rumors of a few opium dens. A fire in 1925, which destroyed most of downtown, and the advent of trucking ended this prominent era in Oakley. The lobby beyond the doors divides the Chambers area from the new office area. There are two photos of rather distinguished looking gentleman. They are J. D. Wightman and Randolph County Marsh, the founder of Oakley. Over a game of cribbage these two men decided the fate of our community. Mr. Wightman wanted to call the new townOakley; Mr. Marsh wanted to name it Dewey. We know who won. 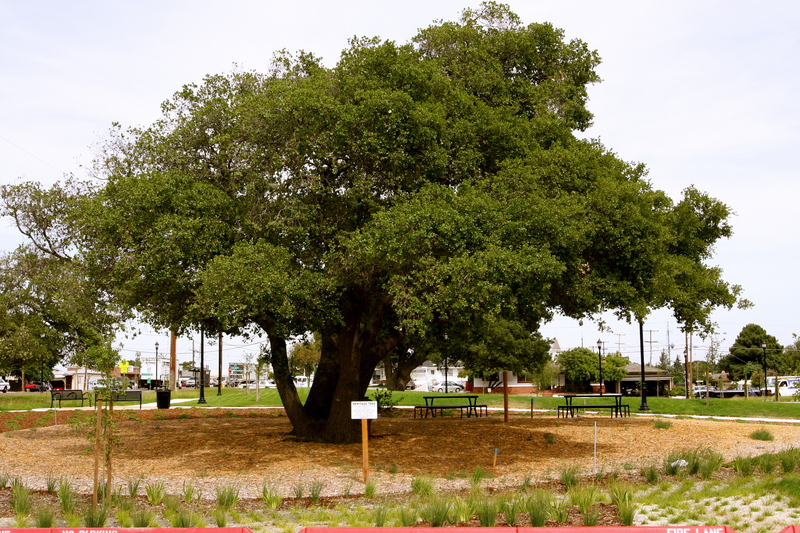 As a consolation to Mr. Marsh there will eventuall be a park constructed to honor Admiral Dewey. 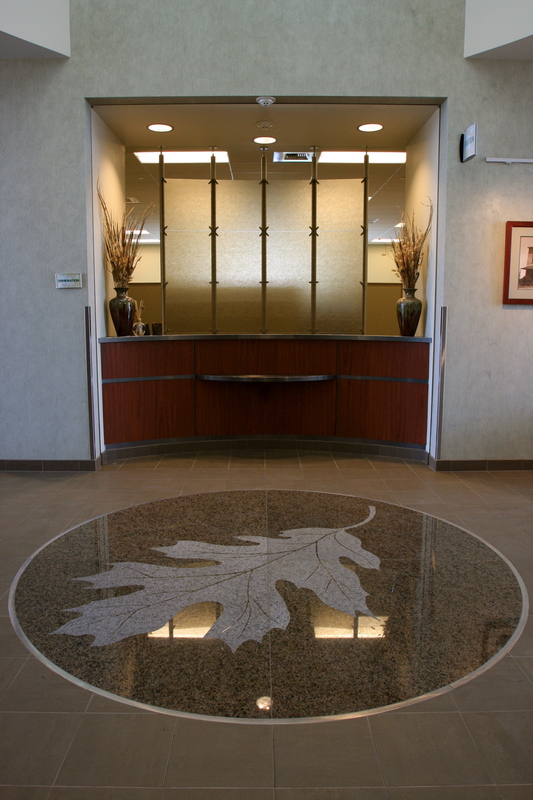 On the lobby floor is a 16 ft. diameter granite slab within which an oak leaf is etched. The granite symbolizes the strong foundation that has been set for our recently incorporated City. Above the granite slab is the interior view of the 48’ cupola. 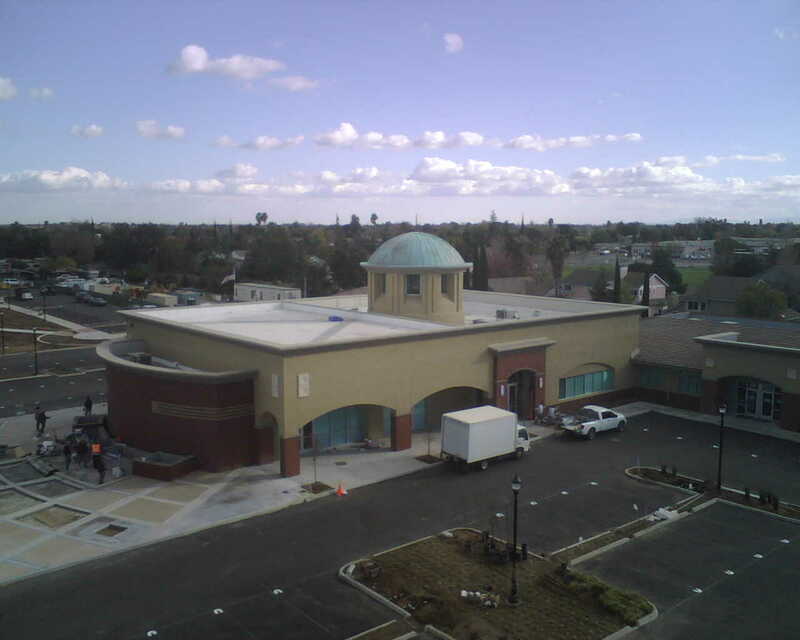 The cupola provides an architectural element that helps define the entire facility as a public building and symbolizes the forward progress and strength of our growing community. 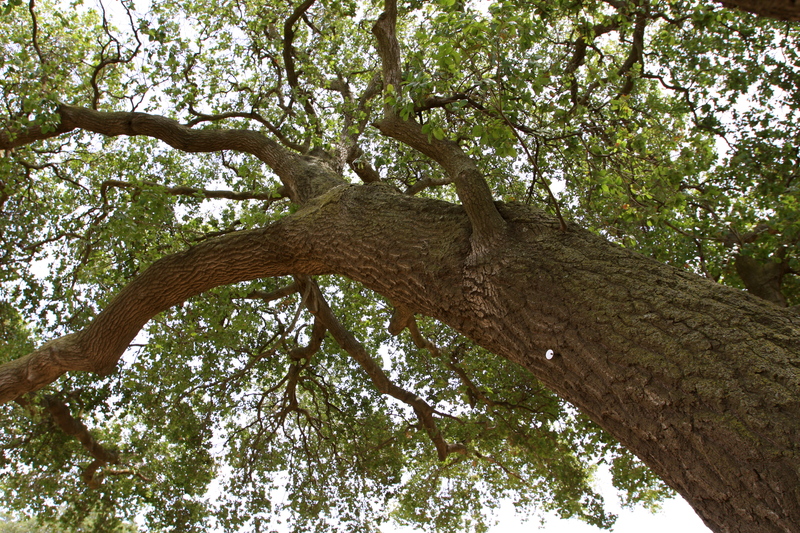 The leaf sculpture hanging down from the cupola was masterminded by Mary Ann Downey and manufactured, by hand, of sculpted and acid-washed steel. Ascent Builders installed the sculpture. 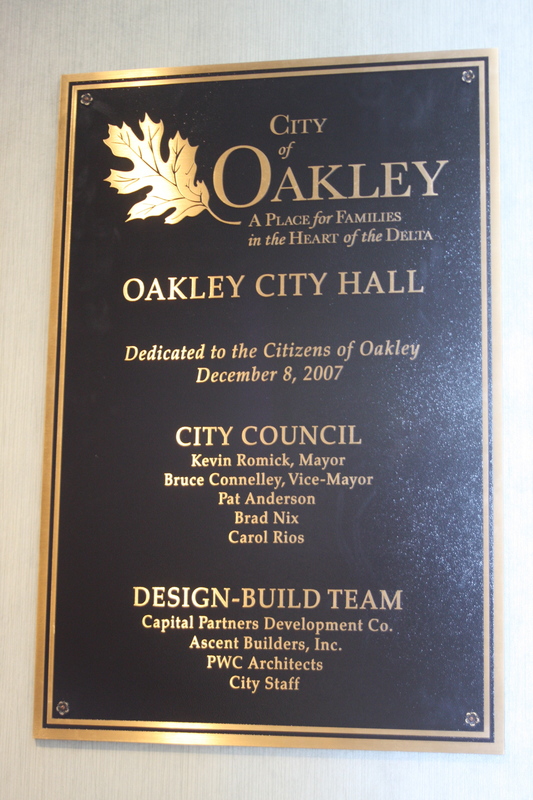 The eight leaves signify the 8 years that Oakley has been a City and, of course, the Oak Leaf is part of our the “brand”. Beyond the lobby are offices for the City Manager, City Attorney, City Clerk, Human Resources, and Economic Development and Redevelopment staff. A large conference room and fire-rated file storage room are also included in this office area. The expansion area is connected to the two “wings” of the existing buildings and between the wings is an enclosed, outdoor courtyard to be used by employees. 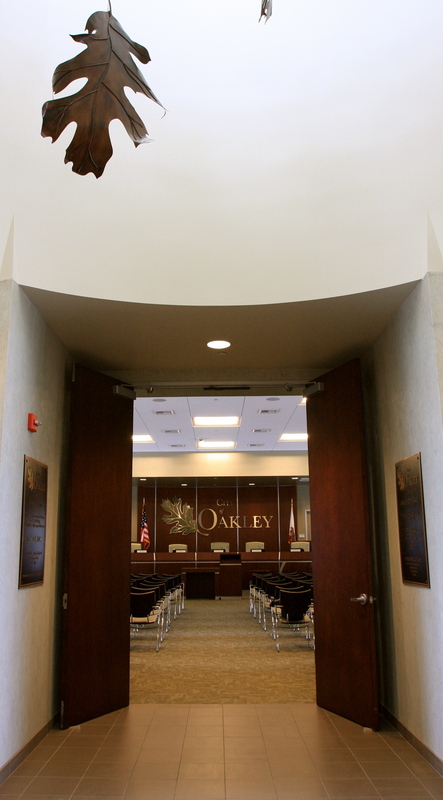 The west wing (the restaurant side) of City Hall will house the Oakley Police Department, the Recreation Division, the Finance Department, and Oakley Disposal. The Police Department area includes its own lobby, specialized office spaces, locker rooms, storage, and an enclosed parking area. 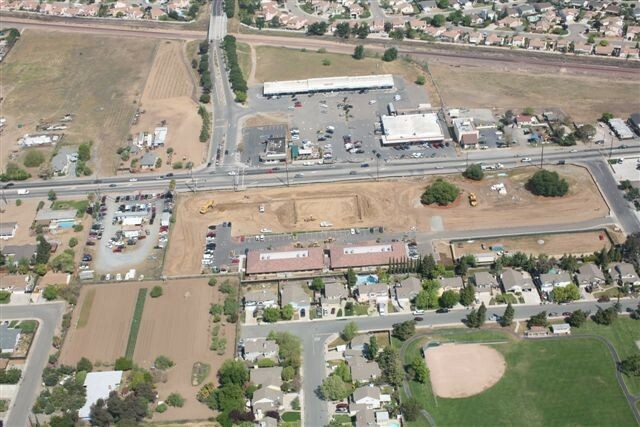 The number of police officers will grow and this area has been planned for expansion. A phone is located immediately outside the Department that gives direct access to Dispatch. The east wing of City Hall includes the existing lobby that will serve as receptionist for Building, Code Enforcement, Planning, Engineering, Public Works, Information Technology and Recreation. This wing includes a public restroom, two conference rooms, an employee breakroom, two file rooms, employee restrooms, open office areas, and three new hard-walled offices. The east wing also includes office area for future expansion. The 6,000 sq. 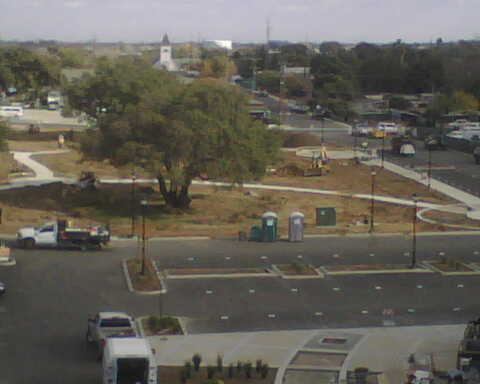 ft Plaza includes decorative concrete, brick pavers (some engraved that were purchased by others), landscaping and a reflecting pool/fountain. The pool/fountain has two main waterfalls that aerate andhelp recycle the water. Special LED lighting with various colors will be installed around the waterfalls and perimeter of the pool. The restaurant building was paid for and will be owned by the City’s Redevelopment Agency and the Agency has entered into a lease agreement for the facility to be a Black Bear Diner.